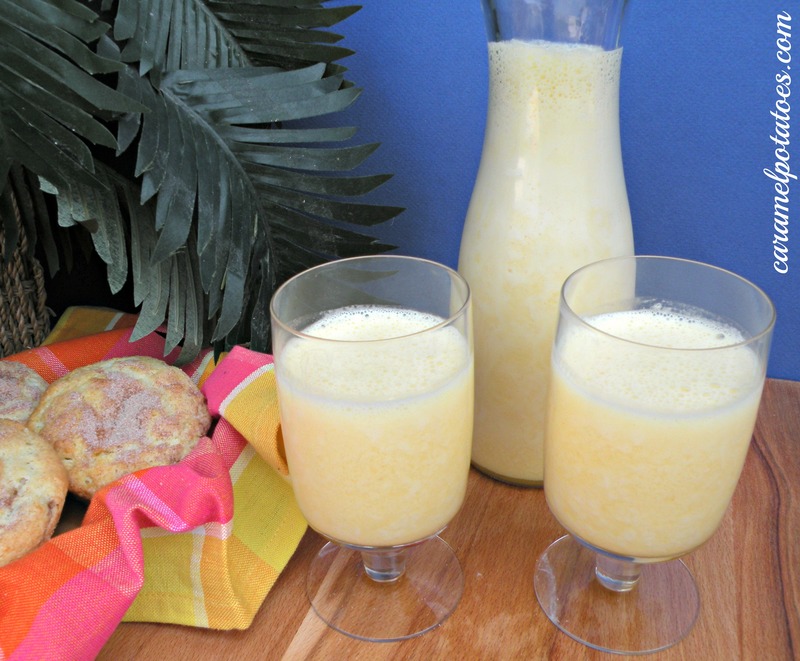 This is truly a simple and refreshing drink that pairs well with any breakfast or brunch. Because well, sometimes we just need to change it up. Something different that juice. If serving to a crowd you will need to double or even triple the recipe. Combine the first five ingredients in a blender; cover and process at high speed. Add ice cubes and blend until smooth. Pour into glasses and serve immediately. Note: I have kept this in the fridge overnight, it separates. If you shake it up in a container really well it is still delicious. I would not, however, serve it to guests.